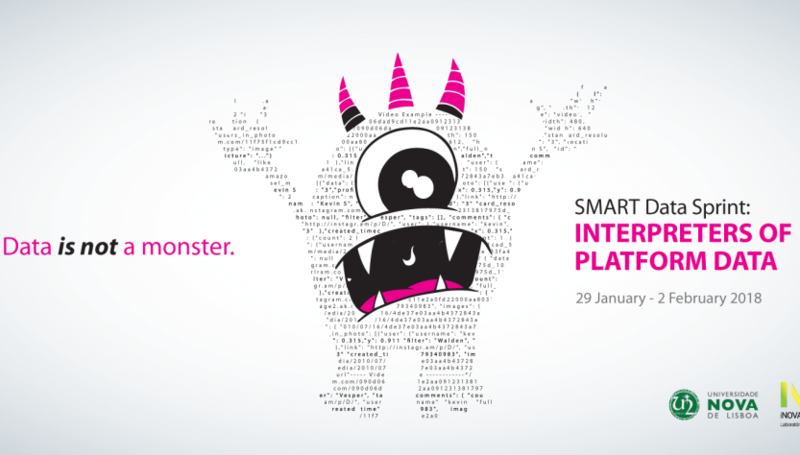 From 29 January to 2 February 2018, Eurete will be in Lisbon, at the Smart Data sprint “Interpreters of platform data”, organized by the Universidade Nova de Lisboa and I-Nova Media Lab. Our project, “Femminicidio in Italian media and public debate”, is aimed at analyzing how the neologism “femminicidio” is used on the websites of the main Italian newspapers and on social media. It will be a week of intensive and experimental work. We will use data extraction, analysis and visualization softwares and we will work in an international team with different skills. A similar project, led by Inês Amaral (Universidade do Minho and Instituto Superior Miguel Torga) will be carried on the Portuguese case. Among the flagship projects of the sprint date, the one on Zika virus, supported by the European program on Research and Innovation, Horizon 2020 and the Newton Fund of the Grant Agreement Brazil-UK. Bernhard Rieder (associate professor in New Media and Digital Culture at the University of Amsterdam and a researcher with the Digital Methods Initiative) and Dhiraj Murthy (associate Professor of Journalism and Sociology at the University of Texas at Austin) are joining SMART Data Sprint 2018 with keynote talks and practical labs.